"#690" ["Forever — is composed of Nows — "] by Emily Dickinson, from The Poems of Emily Dickinson, edited by R. W. Franklin (Harvard University Press, 1999). This edition appears to be out of print. 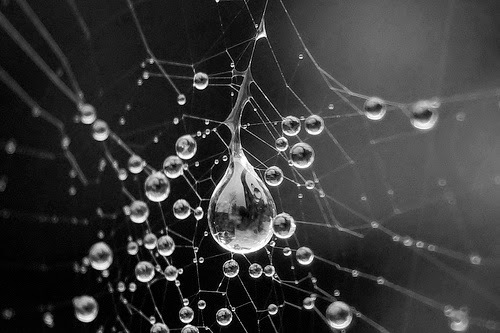 Art credit: "Indra's pearls — Water droplets in a spider web 1," photograph taken on November 2, 2013 by Marjan Smeijsters.